“I’d love to see a post on what to wear when it’s cold as hell,” writes a reader named Andrea. “You have written about this in the past but I’m always stumped in the winter on how to look fashionable but keep warm.” This request couldn’t be a whole lot more timely, as it is deathly frigid in New York right now. I’m not sure how fashionable I look in the following getup, but it does keep me cozy. Having two dogs to exercise means going out in the awful weather three times a day, and I loathe being cold, so I always start out with a base layer of long underwear, which I get from Uniqlo. It’s super-lightweight, really effective, and quite cheap, and on sale now so it’s even cheaper. 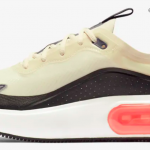 I just ordered a couple of extra pairs so I always have some that are clean. Typically, I wear jeans over the long underwear, but lately I’ve been thinking about getting myself some cozy wool pants. 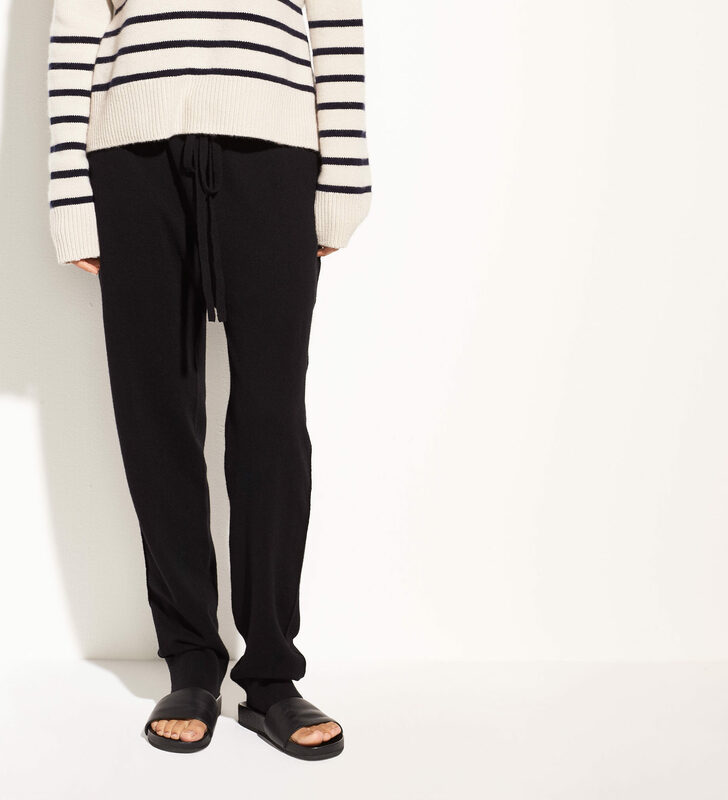 These joggers look just about perfect: nice and slouchy, with a drawstring waist, and they’re a cashmere blend, so possibly won’t be too scratchy. Perfect for throwing on to take the pooches for a spin (here’s a cheaper option). On top, I’ll start with a cotton camisole. Then I’ll layer a long-sleeved tee over that. This one is from Uniqlo, and is made from the same Heattech fabric as the long underwear, and it’s great. If it’s really frightful out, my next layer will be a cashmere hoodie. Then I’ll go for a big old chunky sweater like this one, which I purchased a while back from Vince. It’s on sale now. 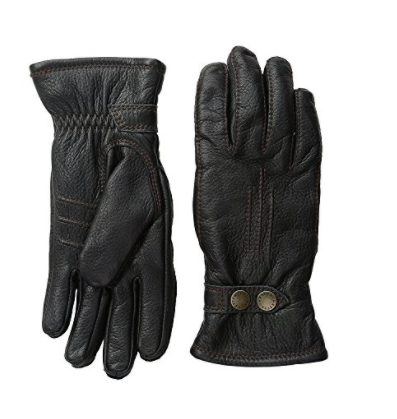 As for gloves, I wear the cashmere ones I wrote about here, but were the temperatures to suddenly turn Arctic, I’d go for these, by a company called Hestra, because a friend of mine whose hands and feet get unusually cold swears by them. 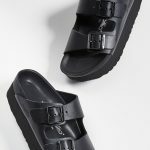 In the footwear department: I’m loving my No. 6 shearling boots (which I wrote about here) but also am quite partial to my crazy-ish Penelope Chilvers boots, which are also shearling-lined, and so easy to walk in. My quest for the perfect red puffer recently ended in the purchase of this one from Aritzia. Sadly, the red sold out, but it’s available in lots of good colors, and also this excellent camo print. It, too, is on sale. 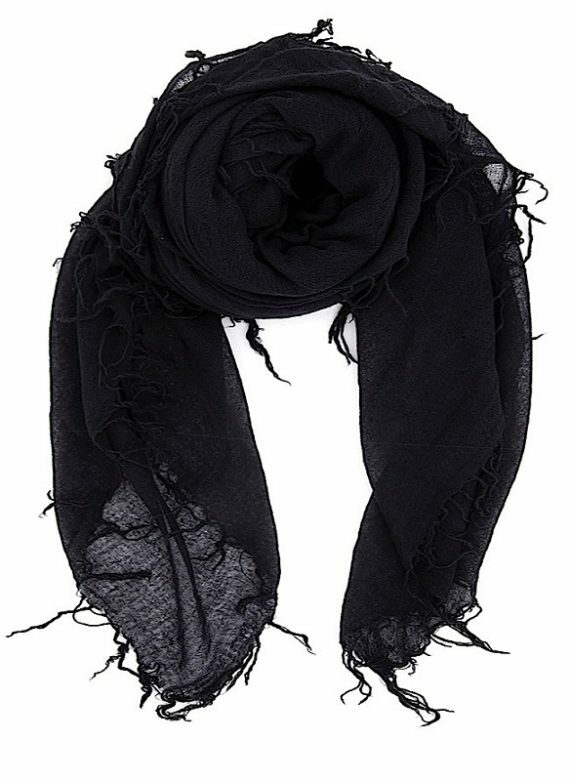 My Chan Luu scarf is warm, warm, warm, and not too bulky. 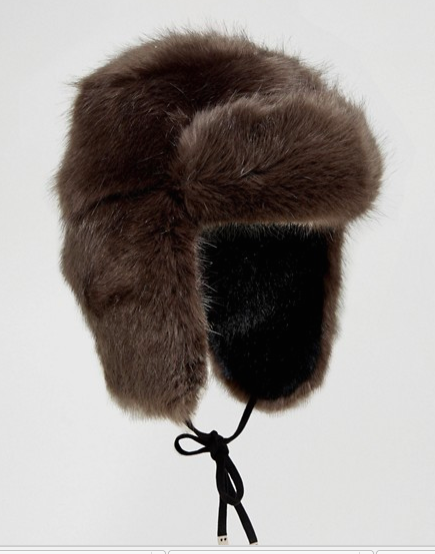 And finally: A few years back, I acquired a faux fur hat by an Austrian company called Muhlbauer, and wish I could find one just like it for you, but this trapper hat comes pretty close. Just a note, I rarely wear cotton in cold weather, especially right next to the skin. If you sweat at all, which you will inevitably do if you go inside anywhere the heat is blasting, the cotton won’t wick your sweat and you’ll actually get colder. 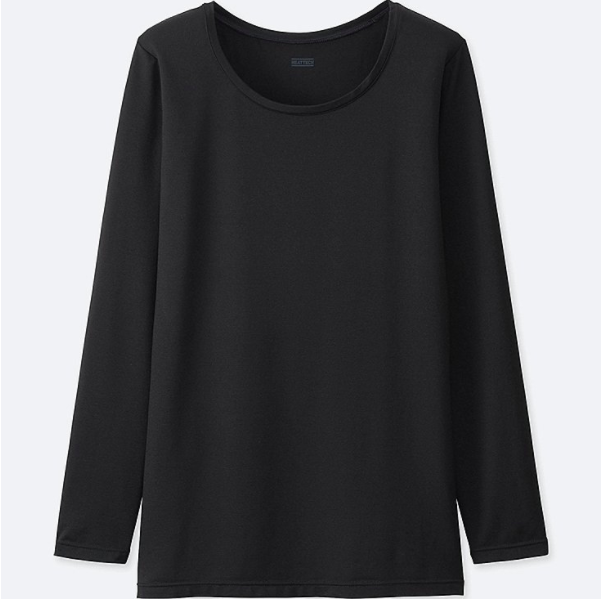 Instead of the cotton cami, I’d suggest Uniqlo’s Heattech one, or from one of the merino companies (ie Smartwool or Icebreaker). Same goes for socks: with boots I wear winter-weight liners, and then socks with a high merino content (I recommend Farm to Feet — fully made/sourced in the US including the wool). Otherwise, great post – thanks for these suggestions! Just a note, I rarely wear cotton in cold weather, especially right next to the skin. If you sweat at all, which you will inevitably do if you go inside anywhere the heat is blasting, the cotton won't wick your sweat and you'll actually get colder. Instead of the cotton cami, I'd suggest Uniqlo's Heattech one, or from one of the merino companies (ie Smartwool or Icebreaker). Same goes for socks: with boots I wear winter-weight liners, and then socks with a high merino content (I recommend Farm to Feet -- fully made/sourced in the US including the wool). Otherwise, great post - thanks for these suggestions! Ok, so. My big problem with getting dressed right now is that it’s SO HOT when I get inside places. Every store has the heat blasting. It really discourages me from shopping! Ok, so. My big problem with getting dressed right now is that it's SO HOT when I get inside places. Every store has the heat blasting. It really discourages me from shopping! Yep, or the old school building that I work in keeps the heat at near tropical levels! Yes definitely! Another plug for merino wool here – it’s more ‘thin layers’ than bulk, and will still breathe even if it’s boiling inside. Yes definitely! Another plug for merino wool here - it's more 'thin layers' than bulk, and will still breathe even if it's boiling inside. I’m loving Uniqlo’s heat tech socks! I'm loving Uniqlo's heat tech socks! I love Uniqlo heattech everything. They also make some cute puffer vests and jackets for layering which are pretty useful. Just an added practical note…most ski instructors I worked with began their layering with silk long underwear––both top and bottoms––the silk prevents any skin irritation from high tech fabric and some high tech fabrics “hold” smells. Wearing silk between your skin and the high tech fabric prevents those smells transferring and most silk long underwear can now be washed in a washer and hang dries quickly. Also if you add a bit of white vinegar to your wash (I put mine in the fabric softener dispenser) it helps rid high tech fabric of unwanted odors. Yes, silk long underwear is terrific. It feels great, cuts the itchiness when you wear it under wool and regulates body temperature really well. You don’t feel so overheated when you’re indoors. I wear silk bottoms and silk cami under my sweaters. REI silk long underwear is great. 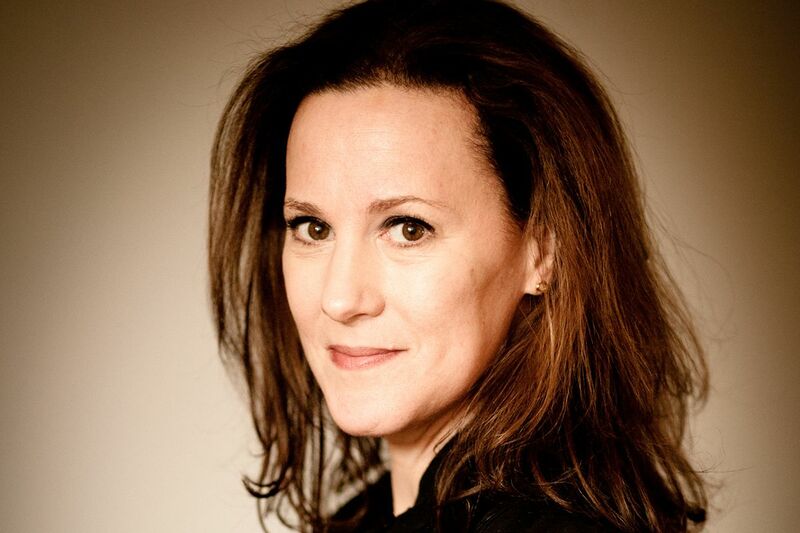 Kim, thank you for the Aritzia tip! Looks like they source and produce fairly…great stuff on sale there! I highly recommend Ibex wools. Super high quality and not too pricey. I wore their pants hiking in Patagonia and they would work styled for the city also (with that cute Aritzia puffer). Kim, thank you for the Aritzia tip! Looks like they source and produce fairly...great stuff on sale there! I highly recommend Ibex wools. Super high quality and not too pricey. I wore their pants hiking in Patagonia and they would work styled for the city also (with that cute Aritzia puffer). p.s. I empathize with how cold so many of you are…how dreadfully cold it is on that side of the country. It is now never raining in California again…sad, days here are like summer, almost. Marching on the 20th for women and ethnic/gender-justice and science!!! p.s. I empathize with how cold so many of you are...how dreadfully cold it is on that side of the country. It is now never raining in California again...sad, days here are like summer, almost. Marching on the 20th for women and ethnic/gender-justice and science!!! This is a timely post for me as this California girl is off to Toronto for a work assignment starting next week. I can’t even fathom the temperatures that I’m seeing on the weather forecast, but this list helps remind me how to dress for them. This is a timely post for me as this California girl is off to Toronto for a work assignment starting next week. I can't even fathom the temperatures that I'm seeing on the weather forecast, but this list helps remind me how to dress for them. Kim, have you (or anyone else) tried out the Arrival’s parka? I’m tempted by it, but it seems pretty far out of my school teacher budget. It looks fantastic. I want to keep my eye out for a sale so I can upgrade to this. Here are additional cashmere hoodie options. Because they’re Patagonia for sure they’re made to last. Slide over to the men’s side for grey and navy. Here are additional cashmere hoodie options. Because they're Patagonia for sure they're made to last. Slide over to the men's side for grey and navy. 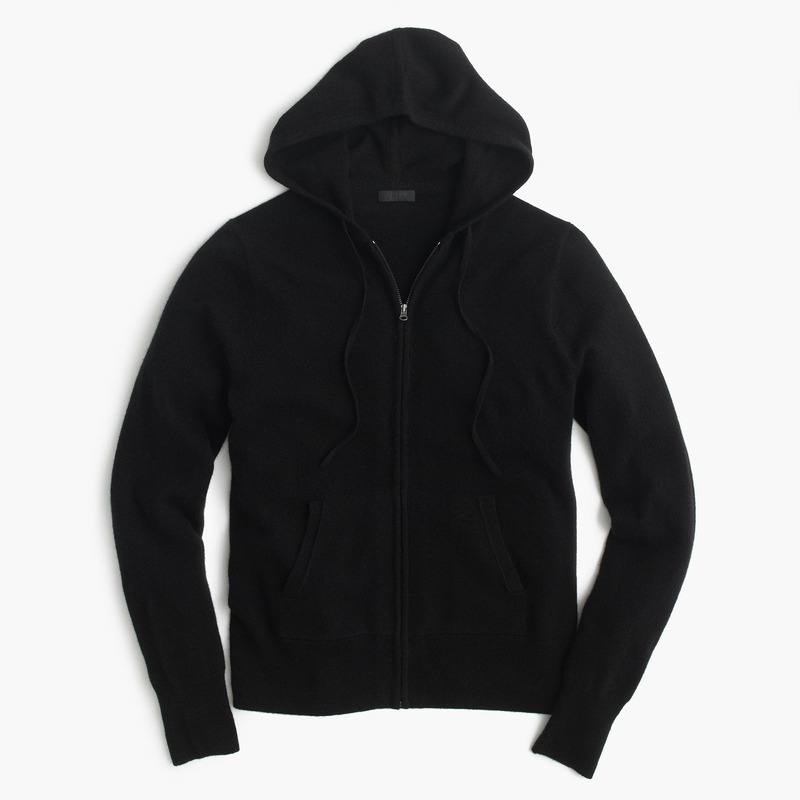 https://www.patagonia.com/product/womens-recycled-cashmere-hoody-sweater/50730.html? Kim, love the steel/alaska color of the No 6 boots, but how are they standing up to water & dirt? The practicality of black upper/black heel is tempting me, although much less cute. They’re actually holding up very well, and I was worried because of the light color they’d show stains quickly. Go for the grey! They're actually holding up very well, and I was worried because of the light color they'd show stains quickly. Go for the grey! Perfect! 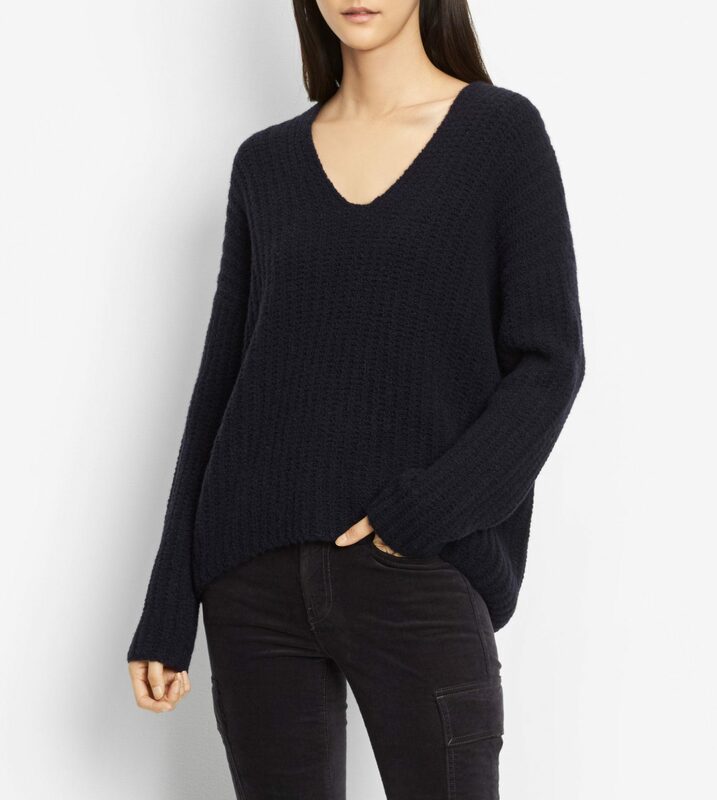 I never thought about layering a cashmere hoodie under a big sweater… how brill. Off to check out Uniqlo under-wear and other grand brands people mentioned. When it’s this cold out, I pay *whatever* to stay warm!! Perfect! I never thought about layering a cashmere hoodie under a big sweater... how brill. Thanks for answering my question! ❤️ Off to check out Uniqlo under-wear and other grand brands people mentioned. When it’s this cold out, I pay *whatever* to stay warm!! Boots and mittens rated for at least -30C are what I wore last week. At a certain point, no one is looking at you, because it’s too cold to care. “Michelin Man” is the look we go for at such times. Warmth above all. Now it’s warmer than Texas. A person needs several sets of winter gear here for extreme cold to wet, spring-like thaws the next day. My favorite winter thing is Merino wool socks as sold at Costco: machine washable, durable, not too bulky. Boots and mittens rated for at least -30C are what I wore last week. At a certain point, no one is looking at you, because it's too cold to care. "Michelin Man" is the look we go for at such times. Warmth above all. Now it's warmer than Texas. A person needs several sets of winter gear here for extreme cold to wet, spring-like thaws the next day. My favorite winter thing is Merino wool socks as sold at Costco: machine washable, durable, not too bulky. I second the recommendation for silk long underwear, though the uniqlo heat tech is similarly thin. For the office on really frigid days, I like a thin merino wool sweater (like the Tippi from J. Crew or the “ultra fine merino” from Uniqlo) under a wool blazer. If you get too warm indoors, you’re still wearing a nice wool sweater. Also, wool socks forever. I wear wool socks 9 months out of the year. I second the recommendation for silk long underwear, though the uniqlo heat tech is similarly thin. For the office on really frigid days, I like a thin merino wool sweater (like the Tippi from J. Crew or the "ultra fine merino" from Uniqlo) under a wool blazer. If you get too warm indoors, you're still wearing a nice wool sweater. Also, wool socks forever. I wear wool socks 9 months out of the year. Just here to confirm that Aritzia parkas are amazing! Warm, stylish and durable. I’ve had mine for a decade and it still looks great. My model has fake fur lining in the upper torso and it’s heavenly warm on a cold Canadian day. However… I must say that if you live in a region that warrants it, get a knee-length parka! I find my rear gets unusually cold in waist-length jackets, and there’s often weirdness where layers end and begin. I’ve also solved the toque-hood-hair conundrum! Many toques don’t fit under hoods, so it’s often a one-or-the-other proposition. Recently on a whim, I tried my daughter’s earmuffs, then added the hood. Bingo! Hair still looked good, ears warm, and all of head warm. Also, as a Reynaud’s sufferer, mittens are warmer than gloves, especially if they’re fleece or fur-lined. Just here to confirm that Aritzia parkas are amazing! Warm, stylish and durable. I've had mine for a decade and it still looks great. My model has fake fur lining in the upper torso and it's heavenly warm on a cold Canadian day. However... I must say that if you live in a region that warrants it, get a knee-length parka! I find my rear gets unusually cold in waist-length jackets, and there's often weirdness where layers end and begin. I've also solved the toque-hood-hair conundrum! Many toques don't fit under hoods, so it's often a one-or-the-other proposition. Recently on a whim, I tried my daughter's earmuffs, then added the hood. Bingo! Hair still looked good, ears warm, and all of head warm. Also, as a Reynaud's sufferer, mittens are warmer than gloves, especially if they're fleece or fur-lined. Uniqlo heat tech is the best. Also their down parks as super thin but super warm and can be easily layered over a bulkier coat. Plus they fold up to about a hand size, making them exceptional for travel. Uniqlo heat tech is the best. Also their down parks as super thin but super warm and can be easily layered over a bulkier coat. Plus they fold up to about a hand size, making them exceptional for travel. Such an underrated brand. 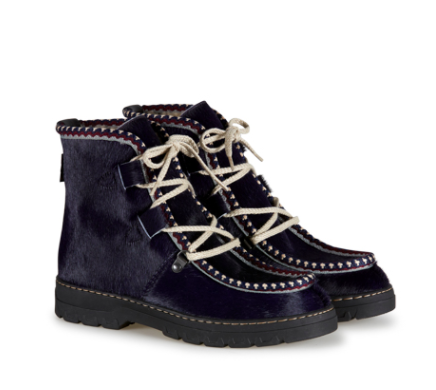 Wow, those Penelope Chilvers boots are just gorgeous! Do they ship to the U.S.?? Yes, they do, Jen. I’ve ordered from them. Yes, they do, Jen. I've ordered from them. Uniqlo anything is aces with me. Just got from a winter vacation and their winter coat with hood saved my life. Not post-related, but hoping your hatches are all battened for that epic-looking storm that’s bearing down on you! If you get bored hanging out in your place ad infinitum, at least you can amuse yourself by layering on All The Things. PS, your dogs clearly need their own matching red puffers now (though the camo would also be quite fetching). When I moved from a really hot climate to a very cold one, I learned that tucking in my shirt is the best way to stay warm. I usually tuck in my undershirt. If it’s warm in the building, I can untuck it and still be comfortable. When I moved from a really hot climate to a very cold one, I learned that tucking in my shirt is the best way to stay warm. I usually tuck in my undershirt. If it's warm in the building, I can untuck it and still be comfortable. 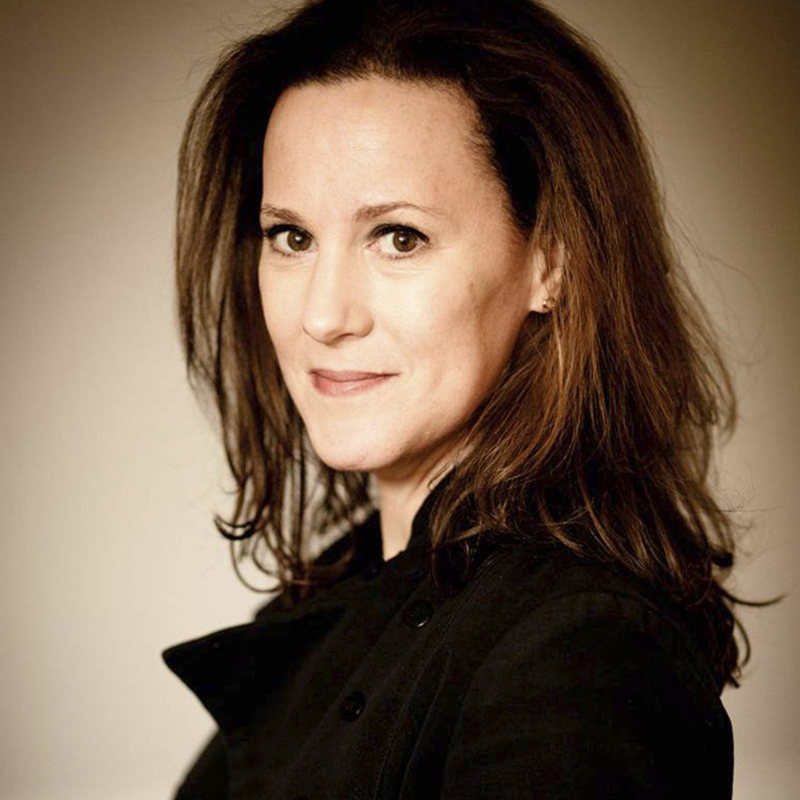 I live for Uniqlos heatech, having acquired huge masses when I worked for them. It is, however, a terrible company to work for at store level. I still support them because the rest of their business model is sound. I have an ankle length (which is amazing as I’m 5’9″) parka from them that is like wearing a cozy sleeping bag on my commute. Slightly nipped in at the waist so I feel the tiniest bit pulled together as I slog to work! I live for Uniqlos heatech, having acquired huge masses when I worked for them. It is, however, a terrible company to work for at store level. I still support them because the rest of their business model is sound. I have an ankle length (which is amazing as I'm 5'9") parka from them that is like wearing a cozy sleeping bag on my commute. Slightly nipped in at the waist so I feel the tiniest bit pulled together as I slog to work! I’m so sorry to hear that. I hope they find a clue and fix the problem. I'm so sorry to hear that. I hope they find a clue and fix the problem. Great post! 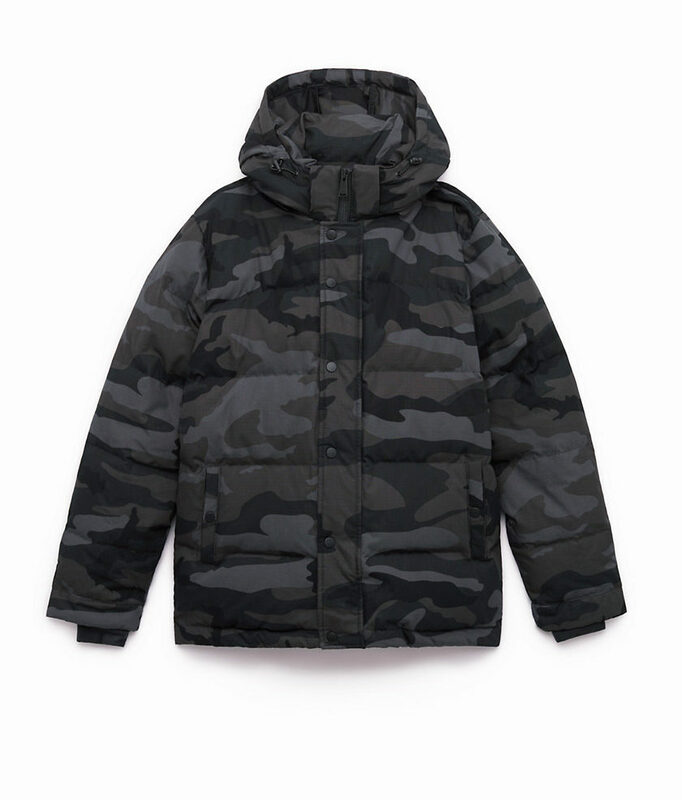 Camo puffer is an unexpected winner. Would you consider doing a post on how to choose clothing silhouettes for maximum cool? Great post! Camo puffer is an unexpected winner. Would you consider doing a post on how to choose clothing silhouettes for maximum cool? I love Uniqlo, too. I love that they devote so much of their in-store real-estate to long underwear. It is so very uncool-cool. Here is a tip that is about 500 years old, but that I just rediscovered recently: walk around with a baked potato or sweet potato. They are the best hand-warmers ever, and more eco-conscious than the chemical ones. I love Uniqlo, too. I love that they devote so much of their in-store real-estate to long underwear. It is so very uncool-cool. Here is a tip that is about 500 years old, but that I just rediscovered recently: walk around with a baked potato or sweet potato. They are the best hand-warmers ever, and more eco-conscious than the chemical ones. Memories of the sweet potato cart outside my office in rural Japan, where it was-10C with no central heating. A sweet potato wrapped in foil could keep you warm much of the day and become a snack later on. Thank you for that. Is it this Mühlbauer hat? This is a great post. My thighs are too hefty to do much layering under most of my skinny jeans so I swear by the Athleta Polartec stretch tight. I wore them out this weekend in 8 degree weather, but didn’t get overheated in the too warm gym where my daughter’s competition was held. This is a great post. My thighs are too hefty to do much layering under most of my skinny jeans so I swear by the Athleta Polartec stretch tight. I wore them out this weekend in 8 degree weather, but didn't get overheated in the too warm gym where my daughter's competition was held.